We are one of the prominent organizations engaged in offering a wide and exclusive range of Battery Handling Equipment to our customers. These products are manufactured using high-class raw material procured from some of the trusted vendors of the market. These products find their application in a number of industries for handling material from one place to another. Moreover, our range of products is fabricated strictly in compliance with international quality standards and are demanded widely owing to their easy operational features and excellent performance. 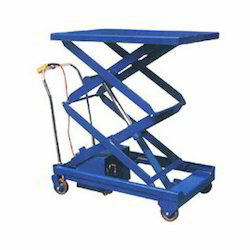 In our range, we offer Battery Handling Equipment to our customers. We are engaged in offering a wide range of Battery Handling Equipment to our esteemed patrons. These products find their application in a number of industries and are fabricated using world-class raw material. Our professionals understand the requirements of the customers and are capable of customizing these products in accordance with the demands of the customers. Strict industrial norms are followed while fabricating these products in order to safe-guard the interests of the customers. Owing to vast industrial experience in the industry, we offer an extensive range of Battery Lift. These types of battery lifts are provided on contractual basis and widely used for various purposes. They ensure low operational cost and are delivered in varied technical grades. With the dedicated efforts of our experienced professionals, we are able to deliver an exceptional product line. 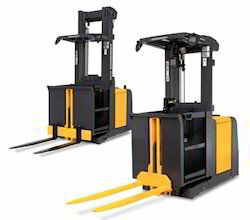 Looking for Battery Handling Equipment ?